After rolling out to new countries and devices without a Project Fi SIM just under a week ago, Google has made Wi-Fi Assistant even more useful. 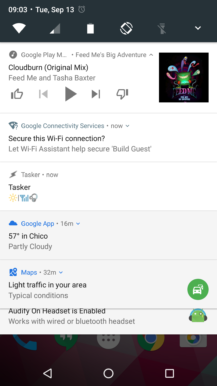 The Assistant can now connect to non-secure public networks that are connected to manually, instead of only being able to secure networks that it connects to automatically. This solves one of those caveats mentioned in the post last week. Without this functionality, WiFi Assistant could only secure a network if it identified it was open and could connect automatically, which is by no means certain. 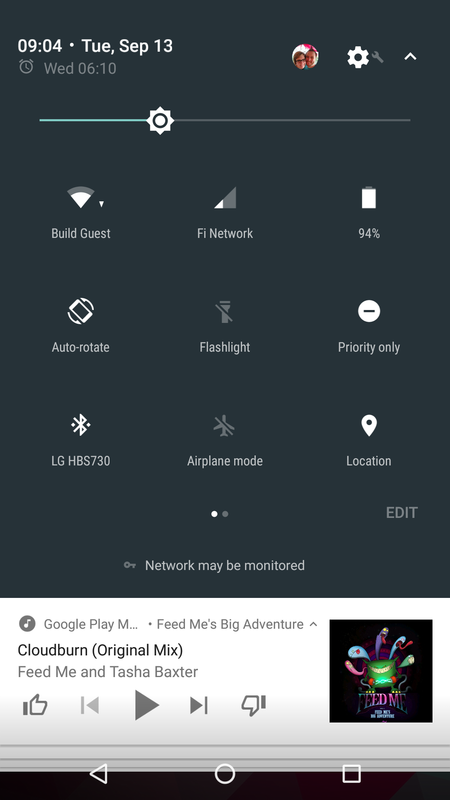 However, as of Play services 9.6, if you're hunting for open WiFi networks and connect manually, Assistant will now offer to secure it with the VPN, meaning you can browse the web, check emails, stream music, or anything else without worrying if your connection is going to be compromised. 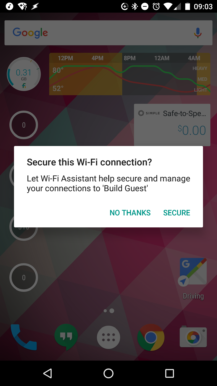 Upon manual connection to a WiFi network, Assistant will send a notification asking if you would like that network to be secured through the VPN. Tap it and a pop-up will appear asking the same thing. Say yes, and the network will be secure. It's really that simple. The process of WiFi Assistant manually securing an open network. This is excellent news, as it means WiFi Assistant should be more usable when you're out and about. The other caveat - the VPN isn't usable when the network has username and password protection - is still there, but I guess this isn't as big a deal because the network requires you to sign in before connecting. Google Play services 9.6 is available at APK Mirror, but make sure you download the correct variant for your device by reading the app notes first. It's also on Google Play, but waiting for Play services to reach you automatically might take a while. Regarding WiFi Assistant, if you haven't got it yet, you just need to be patient - sadly it seems there's nothing you can do to force the rollout.